Joins Christy and I for our 50th episode. We discuss her recent family cruise to Alaska onboard the Ruby Princess. We discuss all aspects of her 7 day adventure from their port adventures, dining experiences, stateroom, and kids activities. 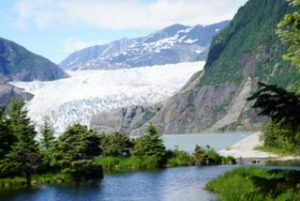 An Alaskan Cruise is truly a one of a kind sailing, so I hope you enjoy all of her info and tips. We are also celebrating our 50th episode by giving away 5 of our new door magnets. Just go to the Facebook or Instagram post which advertises our 50th show, follow the page, and leave your thoughts on sailing to Alaska. Christy will draw 5 names early August, and get in touch with those who win to mail out your magnet.